You may already have a good grasp on what type of Affiliates make up your program. Traditional Affiliate types include Content Bloggers, Deal-based Affiliates, or Affiliates who primarily market through one channel like PPC, Social or Email Marketing. But in order to be truly forward thinking you must consider the potential of non-traditional Affiliates. So, Who Are These Non-Traditional Affiliates? Non-traditional Affiliates are partners who have no intention of setting up or managing an actual long-term Affiliate program. Specifically, they are PTO moms or dads, scout leaders, organizers of private groups, or coaches of high school sports teams. In the case of fundraising, they likely won’t keep any of the Affiliate commissions that come their way. How do they drive sales? Unlike traditional Affiliates who are looking to monetize their content for personal revenue, these partners have an ulterior motive which is to raise funds for a group or cause. Fundraising in the past meant peddling candy bars door to door or hosting a bake sale in front of a limited audience. Storefronts removes the geographical restrictions of old-fashioned fundraising and allows community members to partner with national brands that their friends and family already love. Like a typical Affiliate, it is in their best interest to encourage sales and drive traffic to a Retail partner’s website. Each time a friend, family or stranger clicks through their link and makes a purchase, a commission is deposited into the fundraising campaign. See how easy it is for non-traditional Affiliates to sign up for a co-branded Storefront fundraising page! Interested in setting up a Merchant Storefront? Contact us at shareasale@shareasale.com! 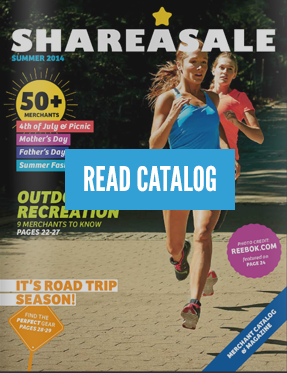 ShareASale Featured Placements are an excellent way for Merchants to recruit new Affiliate Partners. Our Client Services team has many different options that the Merchant can choose from to upsell their program and gain better exposure in the ShareASale Network.